With nursing schools scrambling for faculty and hospitals desperate for teacher-clinicians, the time has never been better to become a nurse educator. If you’ve already decided on a DNP, feel free to skip ahead to our program listings. But if you’d like some real-world advice on your degree and certification options, an explanation of how DNPs in nurse education work, and an interview with a fully qualified CNE, read on! Modern nurse educators operate in both academic and clinical environments. Some become professors and teach at nursing schools, community colleges, and technical schools. Others find work in teaching hospitals and assume the role of staff development officers, patient counselors, or clinical supervisors. As experienced nurse clinicians, one of their major goals is to provide hands-on training to the next generation of health professionals. Many nurse educators spend a long time on the hospital floor before they decide to go into teaching. And a great deal of them continue to work part-time in order to keep their practical skills up to scratch. In short, nurse educators do it all. They plan curricula, teach introductory and specialist nursing courses, publish research papers, write grant proposals, oversee internships, counsel students, and develop programs such as the DNP! Just an importantly, they act as role models, fostering the growth of individual nurses under their watch. They identify the strengths and weaknesses of each student, and help them find a way through the woods. Nurse educators must follow a number of rules before they can begin teaching. To start with, you must have a valid RN license and a few years of work experience. Nurse educators who hope to work in clinical settings should have – at minimum – an accredited bachelor’s degree; those in academic settings must earn a master’s degree; those who wish to work as nursing professors at the graduate level must earn a PhD or a DNP. Since many employers now insist upon a master’s degree as the minimum for clinical or academic appointments, your best bet is to aim high. Hoping to become an associate professor or nursing professor at a university? You must hold a doctoral degree in nursing. However, you do have a choice between the DNP and the PhD. For a detailed comparison of these two options, see our chart on the DNP vs. PhD. Whichever option you choose, make sure it includes courses and training in teaching. Academic employers will want to see evidence of classroom experience on your résumé. In addition to specialty certifications in your field of expertise (e.g. CRNA, CNM, etc. ), you may wish to pursue the Certified Nurse Educator (CNE) qualification from the National League for Nursing (NLN). This is the standard accreditation for nurse educators. If you’re interested in this option, ask your program if will help train you in the competencies required for the CNE exam. Unlike, say, the DNP in Nurse Midwifery, there isn’t one clear path to becoming a nurse educator. In the world of nursing schools, nurse education is often considered a sub-specialty or concentration – something you can “add on” to any MSN or DNP program in advanced practice nursing. Today, many schools will give you the opportunity to mix and match your curriculum to fulfill CNE requirements. Sensibly enough, many DNP programs will insist you lay down a foundation of advanced nursing practice skills before they will allow you to focus on education courses. Even if you are enrolled in an administrative or MSN-DNP nurse education program, you may still be expected to take courses in areas such as biostatistics, population health, and methods for evidence-based practice. Once you begin your concentration in nursing education, you will be exposed to all kinds of exciting educational strategies. Classes can cover curriculum design and development, instructional technologies, theories of learning, assessment and evaluation, faculty leadership, principles of adult learning, research techniques, and more. Programs often arrange a nurse educator internship where you can work alongside an experienced faculty member in an entry-level nursing setting (e.g. community college). In addition, many students use their DNP capstone project to focus on a particular area of pedagogy. When in doubt, look for programs that address the NLN Competencies for Graduates of Nursing Programs. Dr. Laura Fillmore is the Dean of Faculty at Chamberlain College of Nursing. She has also worked as a Clinical Education Specialist, an Interim Director of Nursing Faculty at Maricopa Community Colleges, and a Director at Touro University’s School of Nursing. Dr. Fillmore has extensive experience in regional and professional accreditation, regulation, curriculum revision, program, faculty, and resource management. 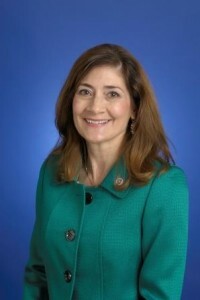 In addition to serving as an education advisor for the Nevada State Board of Nursing, she regularly presents at conferences and contributes to publications such as the American Journal of Health Sciences. Dr. Fillmore is a Certified Nurse Educator (CNE) and graduated with a DNP from Touro University in 2010. Q. Why did you choose the DNP? A. I chose the DNP because it is practice-focused; the coursework really resonated with the nursing work I was interested in doing. I was also drawn to the type of research found in a DNP program. The degree is grounded in translational research, which is both practical and innovative. Q. What kinds of challenges did you face during the DNP? How did you juggle commitments? A. The biggest challenge was working while completing my program. I had children at home and a very demanding position as a Director in a School of Nursing. I worked on coursework at night and on the weekends, and completed my final dissertation using vacation days. Q. Was it an online/hybrid DNP or a traditional one? Which courses did you enjoy? A. My DNP program was mostly online, with one on-site intensive per semester. Students shared projects, met with faculty, and collaborated. The intensive was nice, but online courses were better for my schedule. Genomics, which I really liked, was just coming into its own. I also enjoyed my leadership course. It discussed different types of leadership styles from an organizational viewpoint. Q. What did your DNP capstone project focus on? A. The focus of my DNP capstone project was on nursing rounds. The aim was to improve morale by increasing the collaboration of charge nurses and staff nurses in a shift. Historically, the charge nurse was not just an administrator, but a nursing expert on the care of patients. Rounding was used to evaluate and assess the care being given. In my DNP model, the charge nurse would round with the staff nurses and discuss priorities for each patient. The goals were to debate important issues, share experience and feedback to improve patient outcomes, and support nurses of varying experience. This model can be implemented in easy steps by adding a rounding routine to the early part of every shift. Q. Why did you pick this project? A. As a nurse, I know that not everyone comes with the same level of experience. There is often a lack of opportunity to share/collaborate/discuss what is important proactively. Nurses come running when an emergency occurs, but where are they before? As staffing numbers are high, the number of nurses available to respond are also low. Certain units and shifts have bare minimum staffing levels. My DNP project taught me that the best protection for patient safety is collaboration. Q. Has the DNP had any effect on your job? How? A. The DNP helped me view nursing from a systems standpoint. We may be excellent practitioners personally, but we need to create systems that “build in” excellent care. That means the process of education should include translational research and an overview of each individual patient in a system of nursing expertise. As a nursing educator, my goal is to develop critical-thinking nurses who are prepared to meet the goals of future healthcare needs. Q. Any other advice or tips you have for future DNP students? A. Seek out diverse experiences. Look at your practice from a perspective beyond your own duties. View it as the work of a professional body. Guide your education by this question: “How can I advance my practice, the profession of nursing, and the care of patients by the work I do?” Let your passion drive your work.